How can I set up a limit for signing up to each workshop? For instance, maximum guests that can attend each workshop is 25. 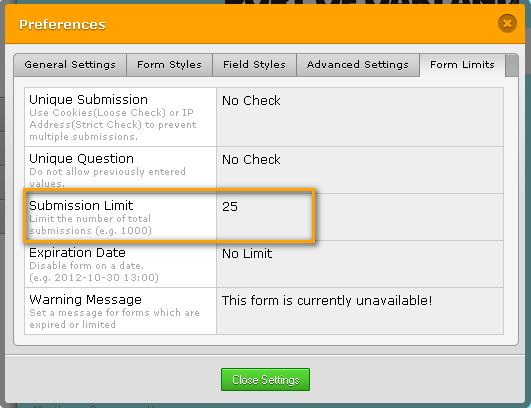 You can do this by going to "Setup & Embed" Tab > "Preferences" button > "Form Limits"
Under "Submissions Limit" set your value to 25. Once reached the value, your form can not accept anymore submission.